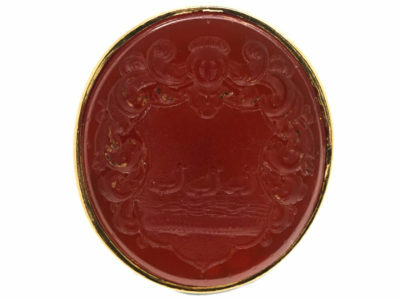 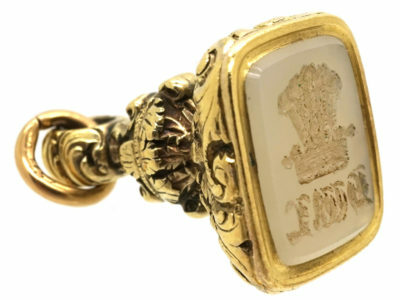 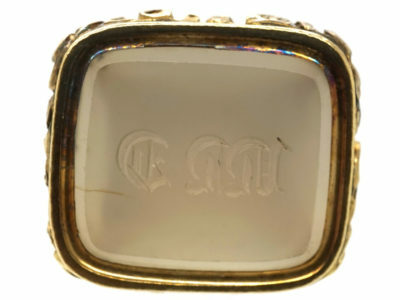 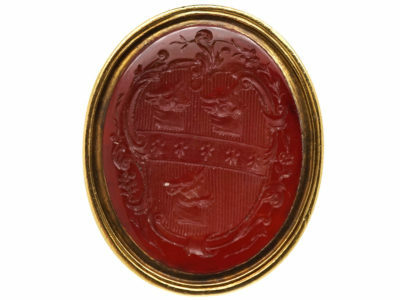 A gold cased late Georgian seal made around 1820. 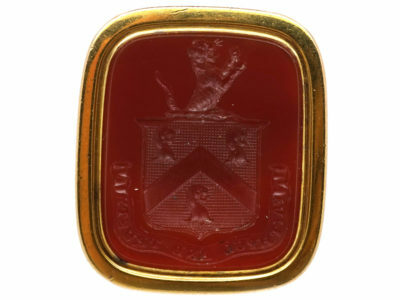 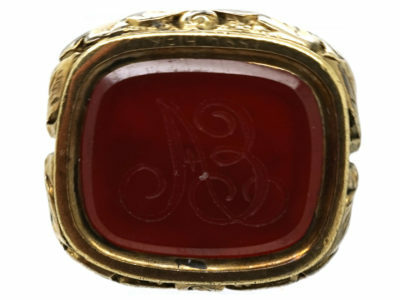 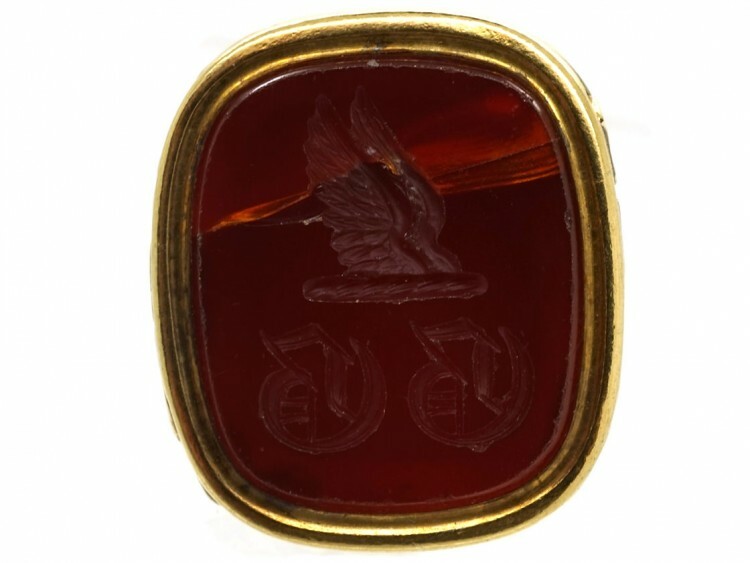 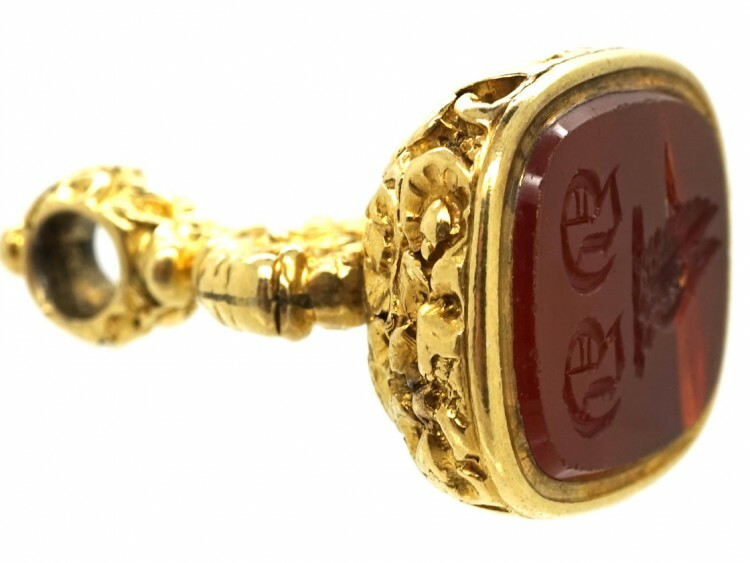 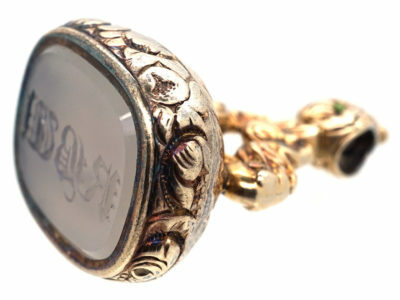 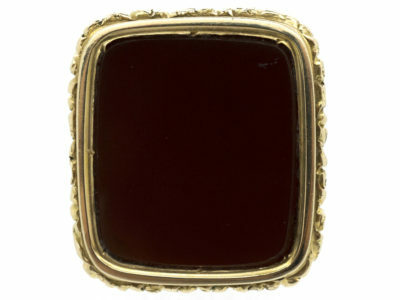 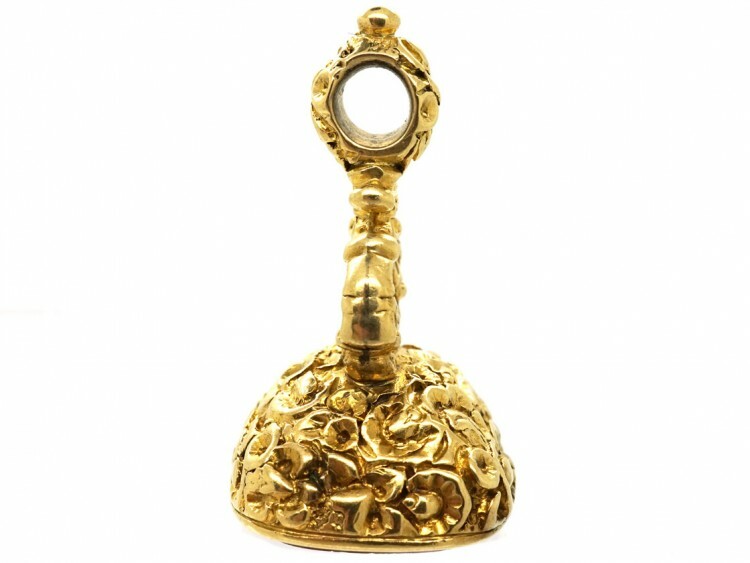 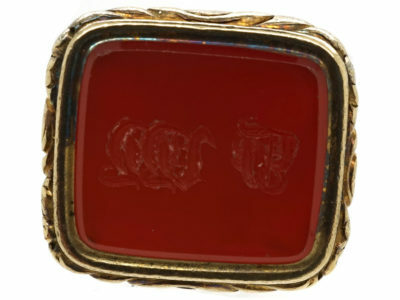 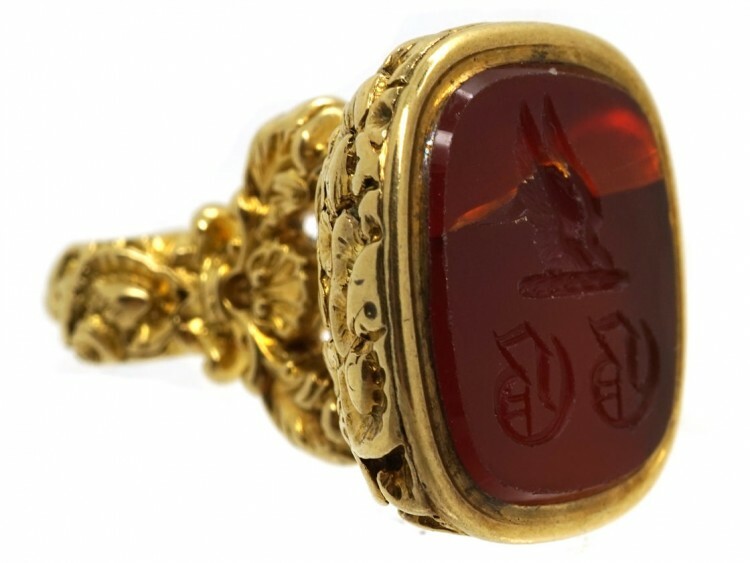 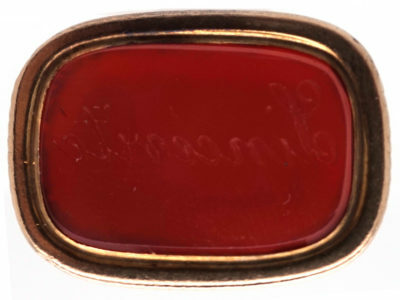 It has a rectangular carnelian set in the base with an intaglio of wings and initials in Gothic script. 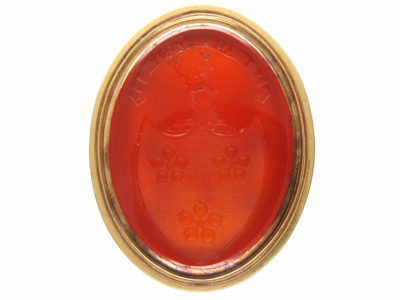 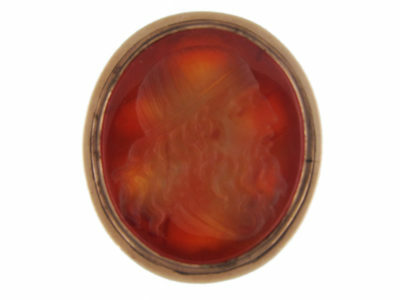 Sadly the carnelian is cracked but it is still a good look to wear on its own or together with other seals.